"We interrupt our regularly scheduled program..."
... to bring you this commercial message and a Public Service Announcement. 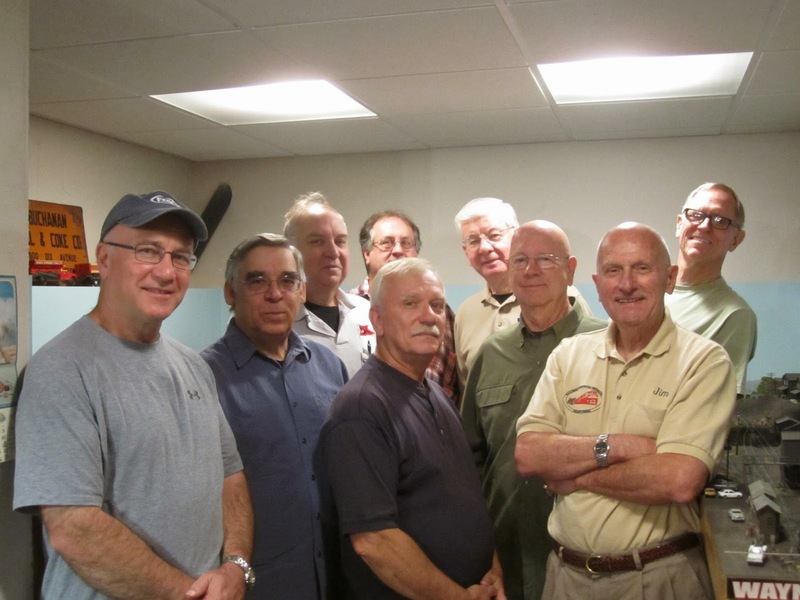 The Garden State Division of the NER/NMRA will be co-hosting its spring meet with the New Jersey Division of the MER/NMRA next Saturday, May 9th at 9 am at the Municipal Building in Hillsborough, NJ. Assorted morning activities include two clinics, a white elephant table, bring and brag session and door prizes. Self-guided tours of some terrific home layouts throughout central New Jersey follow in the afternoon. Plus, there's free donuts! Come on out if you are anywhere in the vicinity. The exact address is 379 South Branch Road, Hillsborough, New Jersey, very near to Interstates 78 and 287 and highways 22, 202 and 206. Click here for full details and directions. The very personable Mike Prokop of the NJD will give a lively clinic on the varied uses of LEDs for layout and model lighting, while yours truly will discuss four different applications for styrene as a backdrop material, three of which have been covered on this blog so far. Please say 'hi' if you're a reader here and have some free donuts! "Scenery is a terrible thing to waste!" The photo below has been sent to several friends who are wonderfully talented, but who have procrastinated for years at this next step. They want to get to it. Their shelves are full of products from Scenic Express and Woodland Scenics. It just hasn't happened yet, but it will. They really mean it. Well, as a former business mentor of mine used to say, "One day and some day ain't days of the week!" The message is a relevant one, for all aspects of living. It's not always an easy one to follow, but it's worth considering, especially for scenery. (Boy, just wait til I get to wiring. Talk about procrastination!). Hey look... I've already started scenery on the Old Main Line!... Have you? Give me a second to get back down off the soapbox here. OK, I'm good. Tomorrow we'll visit a beautiful layout by a modeler whose research and affection for this New England branch line comes through in every scene he carefully recreates. See you then. A) I don't care if advertisers and media undervalue my participation. B) A former NMRA official treated me badly once so I have a grudge. C) The sustainability of the hobby that I love is not my problem. 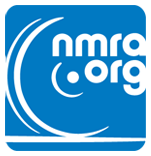 D) I haven't always agreed with every decision that the NMRA makes. E) I just can't afford dues because I buy a lot of stuff that I never use. "Finally!... The final track plan." As a first-time layout builder I may have been a bit naïve in my expectations for the extent of the Old Main Line that I could model. After substantial research, I originally anticipated depicting the 90 miles between Baltimore, MD and Harper's Ferry, WV until an experienced modeler confided that I may want to consider Z scale, or else move my family to a warehouse. Several iterations later, I had reluctantly reduced my vision down to an 18 mile stretch between Ilchester and Sykesville, or for non-math majors, just 20% of my original intent. 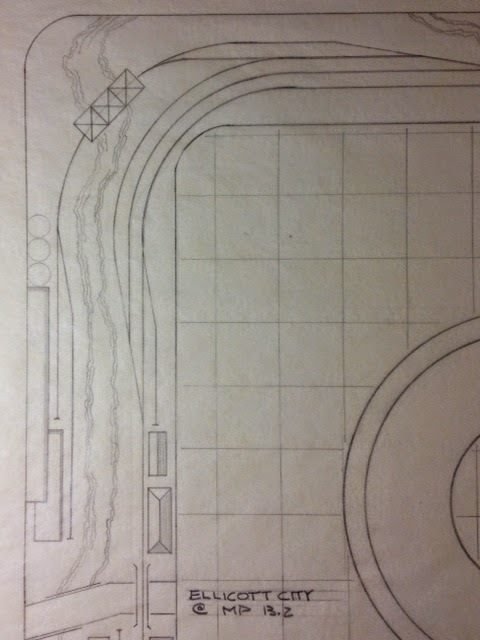 My hand-drafted track plan is drawn @ 1"=1' and is pictured below. Minimum radius is 30". I plan to use Micro Engineering code 83 flex track and #6 turnouts with Midwest Products cork roadbed. Apologies for the difficulty some may have reading the full plan due to a lack of contrast. But the additional close ups of the key Layout Design Elements are more easily understood. 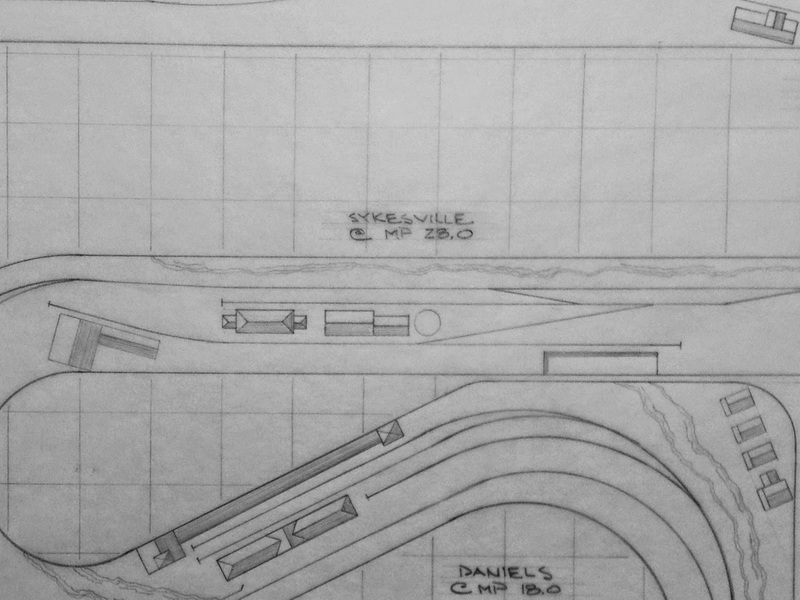 The track plan adheres to the 1959 valuation map exactly and includes all iconic scenes and key operational aspects for the chosen Layout Design Elements within this stretch of the Old Main Line. Room size is 15' x 21'. 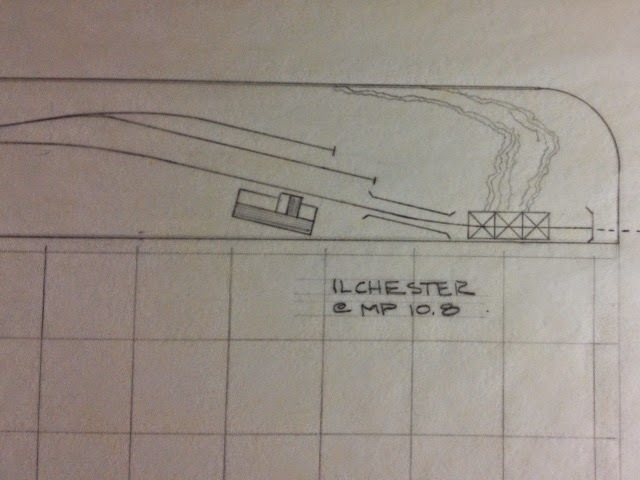 The iconic tunnel/bridge/depot scene is replicated at Ilchester as trains enter the layout from staging. The two spurs are a team track and coal trestle for the Bartgis Bros. paper mill on the other side of the river depicted just west of here. The deck depth here is 20". 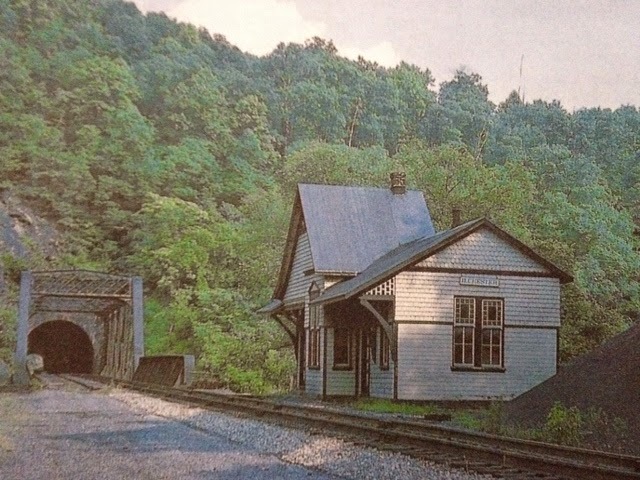 The eastern end of Ellicott City includes the set-out yard and spur over the trestle to the flour mill. A team track for downtown businesses is next to the freight house. The iconic depot is next to the much-photographed overpass. Deck depth here is 28". 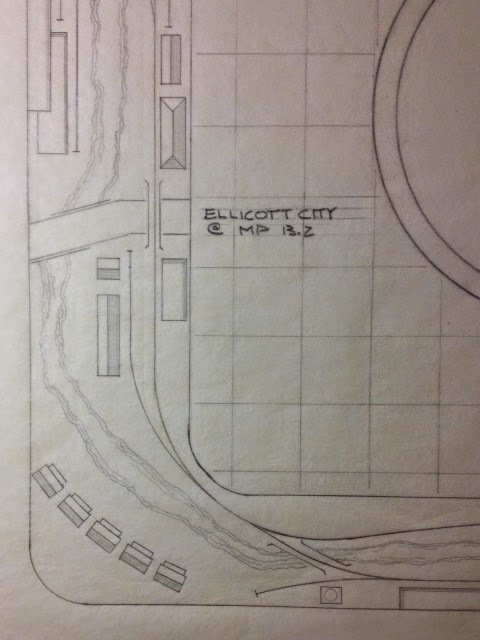 The west end of Ellicott City includes the Talbott Coal & Lumber dealer across from the famous hotel. Oella's LDEs are compressed into Ellicott City to create critical mass here and to gain separation elsewhere. In actuality, Oella is less than a mile up the river. Oella's company houses and textile mill are prototypically depicted on the wrong side of the river with access via a pitched girder bridge. Included is a trailing turnout whose historical existence has been hotly debated. 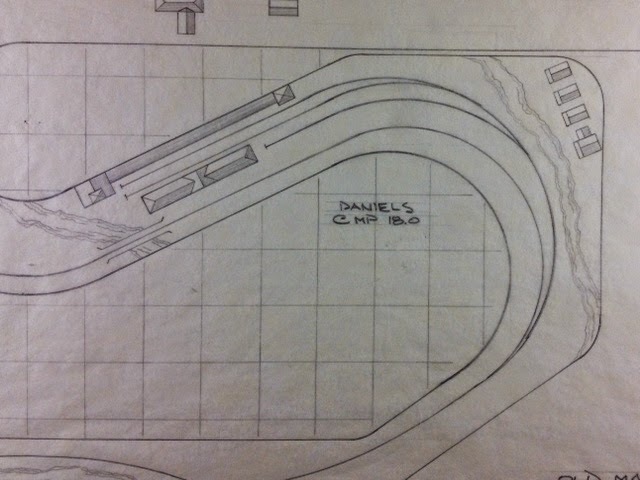 The textile mill complex at Daniels gains separation from the Dickey mill via a long approach spur hugging the side of the river and past company houses before reaching the river again which surrounds the complex. 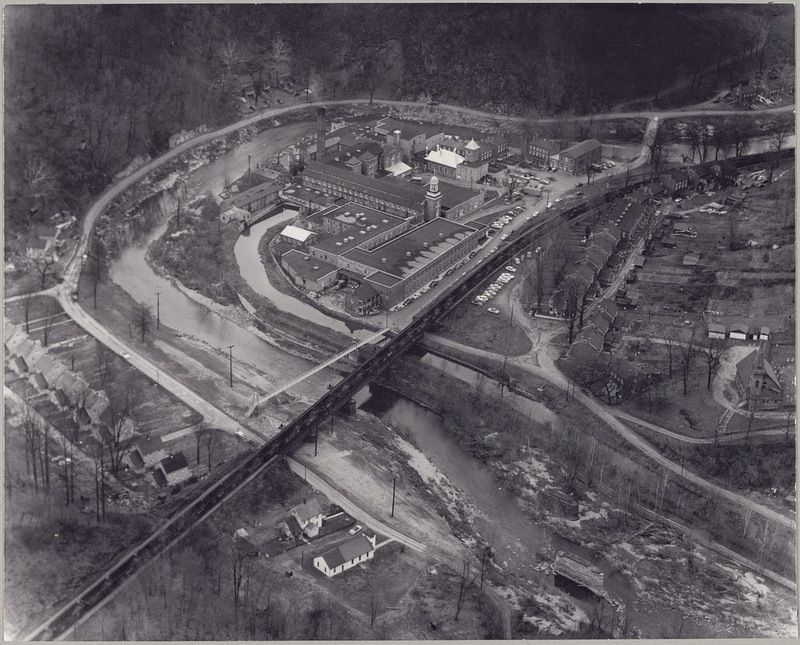 The farm community of Sykesville is reached from Daniels after the Davis siding at the end of the peninsula and serves such industries as the Maryland Milling Supply, Farm & Home Supply and Standard Oil before exiting the layout into staging via the Sykesville tunnel. Depth is 20". While the layout's track configuration is spot-on and the iconic LDEs are pretty accurately depicted, the separation has left me dissatisfied and pretty bummed. Still too much prototype? C'mon! The goal is to have a mix of switching activities, plus some lazy enjoyment watching through-trains traverse the scenes, while also complicating the switching chores. Local freights would be between 6-12 cars, while through trains would be 16-18 cars. A) Eliminate one or two researched, studied and beloved LDE's. B) Expand the single deck layout into adjacent living spaces. C) Convert the single deck layout into a multi-deck layout. 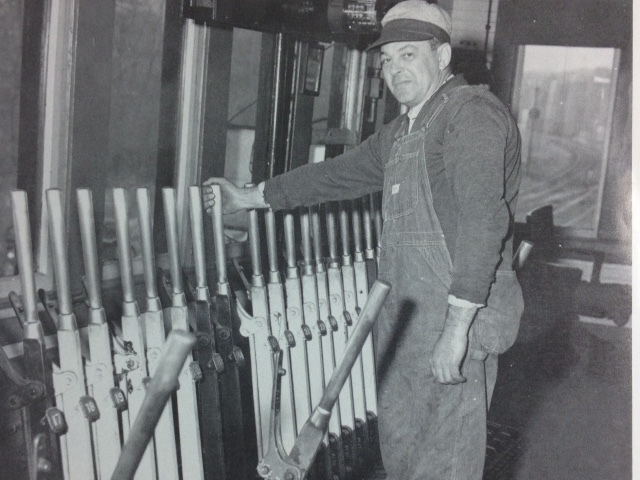 Allen McClelland popularized the 'good enough' philosophy on his legendary V&O layout. I don't know how he felt about the adage that 'practice makes perfect,' but I find it flawed. Aside from the debate whether anything can actually be perfect, (insert joke here), how about we agree in the interest of time that 'practice makes improvement' is a more realistic statement? As mentioned early in this blog, I had been away from active involvement in the hobby for about 35 years, so I was anxious to assess my skills and familiarity with new tools and materials. Structure building was always my favorite part of the hobby so I wanted to practice on some inexpensive kits that I had on hand... and if I could ultimately end up using them, even for just awhile, so much the better. The depot at Ilchester has always intrigued me for its distinctive roofline, intricate windows and multi-style siding. Prior to being demolished in 1964, the roof was simply tar paper laid in non-conventional vertical strips. For some reason, two Atlas 'Rural Station' kits were in my stash so they were chosen for this project. 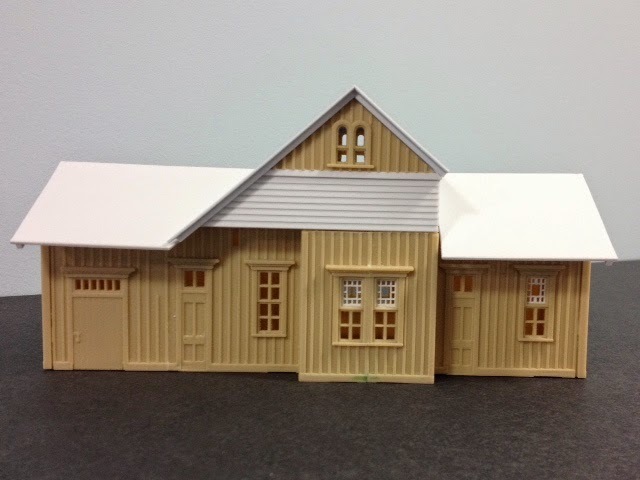 While the siding was not a match for the Ilchester depot, the roofline and the windows are the two most distinctive items and they could be replicated. The kit is very basic with some chunky details, but serviceable for this task. A chip board mock-up was put together based on some rough 'guesstimates' from historic photos. It showed that the depot needed to be longer on one side. The window/door configuration as detailed below confirmed that. But the roof pitches seemed about right. The four sides of each kit had tabs that needed to be snipped off, while the projection of the window mantels needed to be sanded down dramatically. The bay window wasn't used, but will be a nice addition to another model when the time comes to rescue it from the scrap box. Each window grille will be filed down a bit to minimize its mass. The two kits were altered considerably to match the door and window configuration of the Ilchester depot. The board and batten siding was the perfect candidate to be sliced into multiple wall sections that could be butted together and glued with little evidence of joints. Windows in the front and rear of the structure were ganged together where necessary, while one end had its windows carefully reduced to single sashes. The model was squared with the .060 styrene base that I fabricated and also reinforced with some ceiling joists. 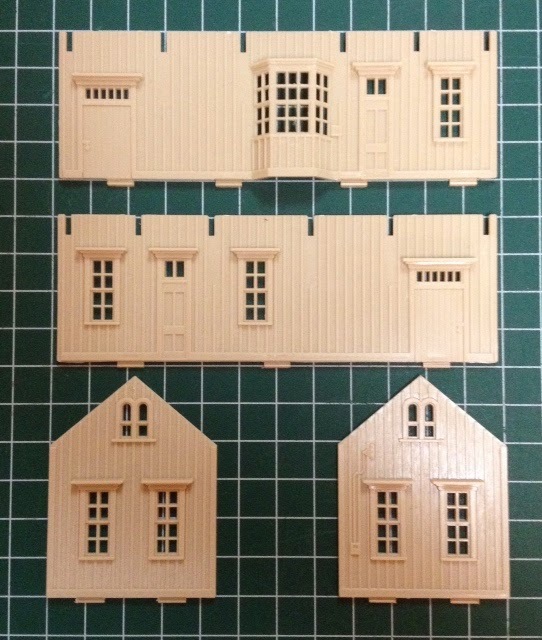 The new gable ends are a gentler pitch than on the original kit and the clapboard contrasts with the board and batten. The boxed-out front matches the prototype nicely. The new roof is still being test fitted and the structure will be mounted on a stone foundation for interest. The top sash of the double hung windows are being replaced with some N-scale windows I found in the scrap box. I cut out the middle of each to replicate the B&O style decorative upper sash. The kit's original gable ends have been used in the upper cross gable for a distinctive look in lieu of the ugly prototypical slatted vents. 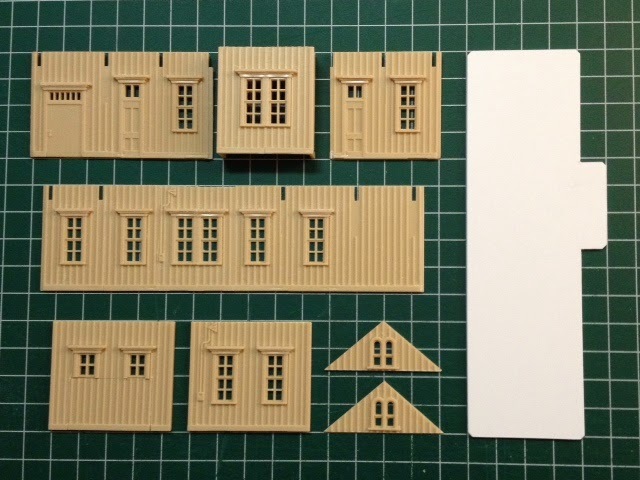 I'll withhold judgment on the two types of siding until the model is painted and weathered. The final roof treatment is still being considered. 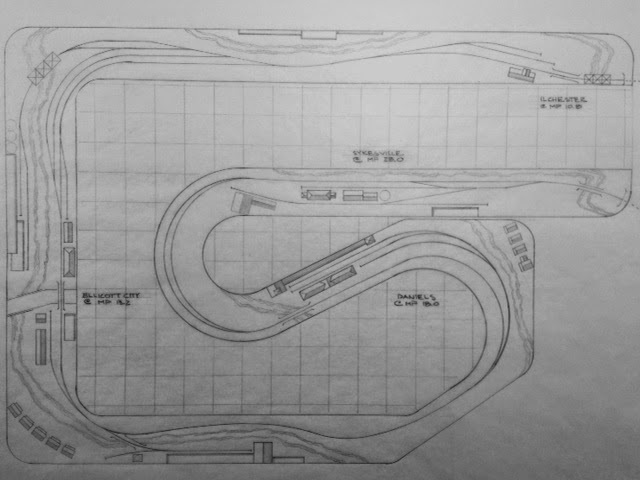 Tuesday we'll look at the first of several 'final' track plans. True or false? Visitors who endlessly debate the merits of replication vs. representation in modeling prototype structures will be warmly encouraged to continue their discussion with my hearing-impaired neighbor who is very lonely, but has all the time in the world. "Road Trip!"... The term has many connotations depending upon your age, interests and level of sobriety. Whether it be a childhood visit to grandparents in Maryland, a caravan to Ft. Lauderdale for spring break or a family's regular weekend treks to soccer tournaments, my experiences have all been memorable. But can there be anything quite like the road trip embarked upon by a group of middle-aged railroad modelers yearning for the taste of crazy-go-nuts, inter-state freedom? What's better than visits to inspiring layouts and rail-fanning at iconic sites with like-minded buddies?... and doing so while nourished with wholesome food and drink in admirable moderation? 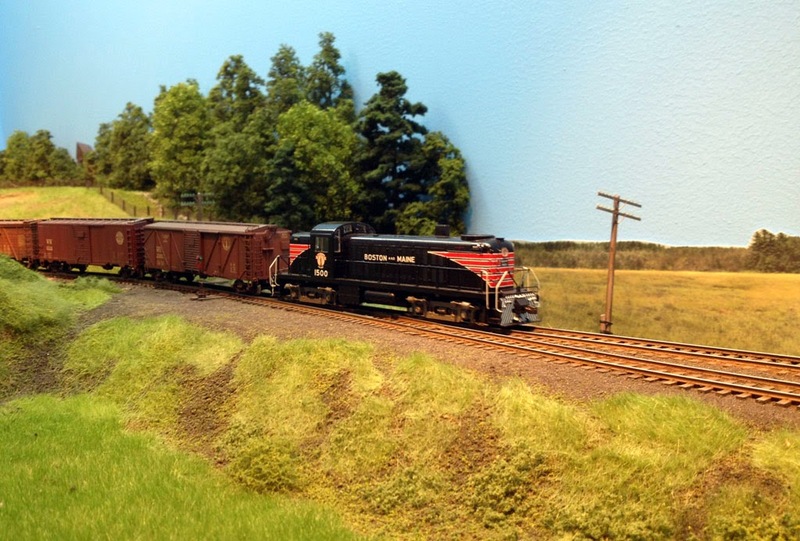 The long narrow layout of Wayne Sittner is highlighted by his own painted backdrop that blends seamlessly with the 3-D portion of his Lehigh & Susquehanna RR. It made GMR 2014. A Rutland subdivision fills Andy Clermont's 23' x 39' basement and is built near eye level for extremely realistic railfan viewing. 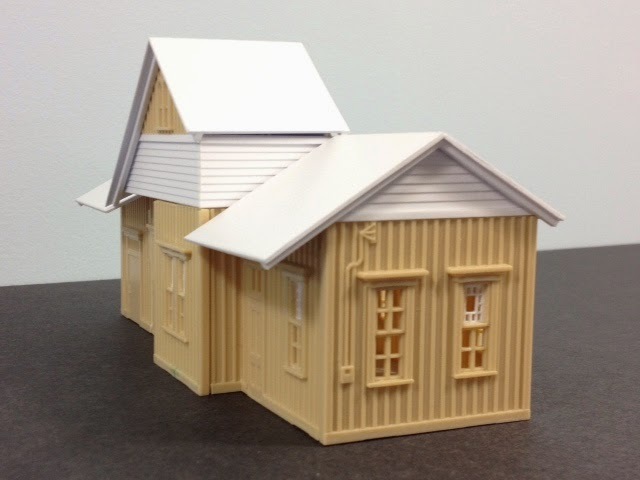 It was detailed in Great Model Railroads 2010. 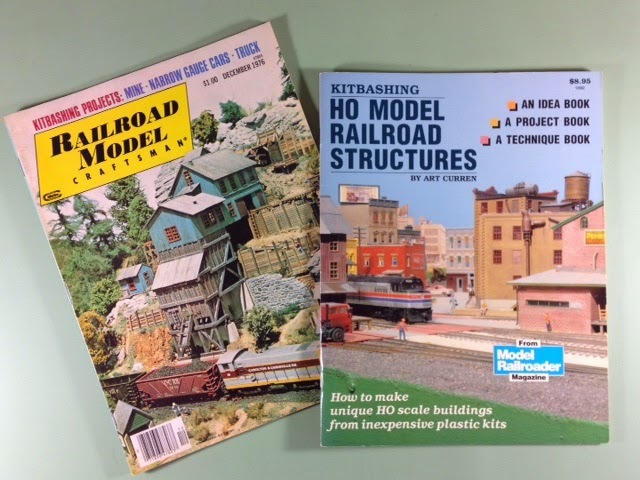 Kip Grant was featured in Great Model Railroads 2011 . 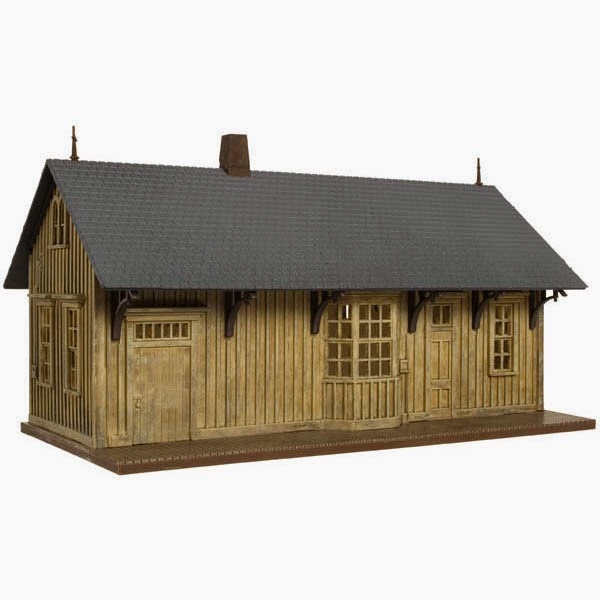 His 13' x 19' D&H branch line is highly detailed and features wonderfully weathered structures and very realistic scenery. Randy Laframboise is faithfully reproducing the Rutland RR on his multi-deck layout including this coal industry which we visited prior to seeing the spot-on modeled version. The Allagash Railway of Mike Confalone has already reached revered status for exquisite realism and unique representation of the 'fifth season.' It's even better in person. Jim Dufour's Boston & Maine rolls through countryside as the summer sky and verdant foliage provide a beautiful backdrop for his painstakingly reproduced Cheshire Branch. It was the trip of a lifetime... four layouts that have been in Great Model Railroads and two more that will be. We got to spend time with the talented creators and share in an awful lot of laughs with the group of merry travelers. For the record, the nine 'Who's Who!' included Jim Dalberg, Jerry Dziedzic, Henry Freeman, Jim Koerner, Tony Koester, David Olesen, Ted Pamperin, John Rogers and Jim Schweitzer. We'll take a closer look individually at each of these layouts in the coming months. 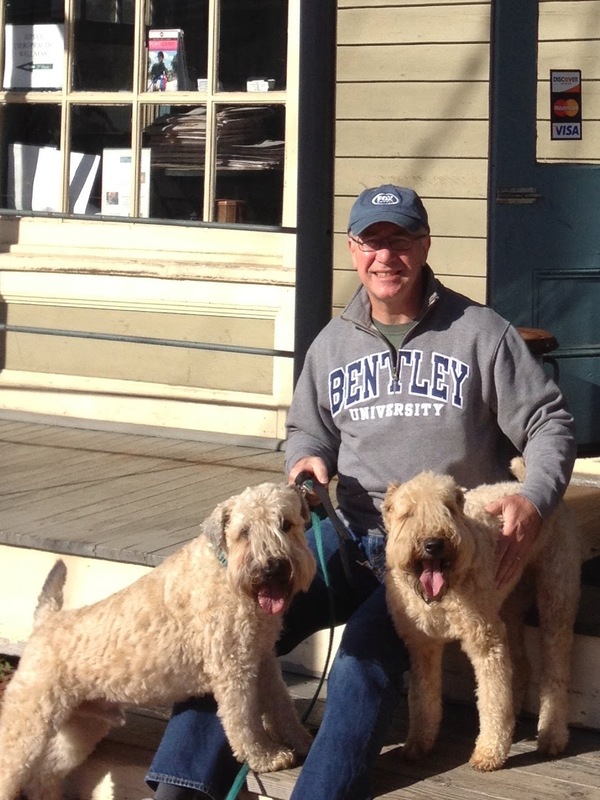 But if you'd like to learn more about a couple of these sooner, Wayne Sittner and Jim Dufour are scheduled clinicians next month at the New England/Northeast RPM in Collinsville, CT, May 29-30th. 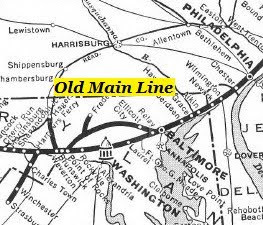 But for now, we'll get back to the Old Main Line in our next installment. We may even see the first of several 'final' track plans very shortly! But first, see you Sunday with some kitbashing. What was the author's response to his wife when she asked, "What'd you eat all weekend?" A) "Nothing... We didn't have time to stop." B) "Very little... Portions are really small up there." 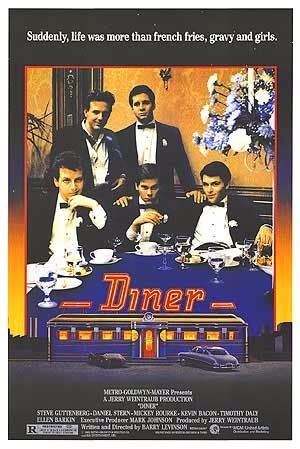 C) "Mostly salad... All the guys did." "Onward and upward... Risers and sub-roadbed." Now that all issues regarding the changed layout entry were resolved, my bench work and backdrop were ready to welcome risers and sub-roadbed to their humble abode. The construction technique would be pretty traditional, but the materials not as much. About one hundred 6" long risers were cut in mass fashion and installed two per cross member. They will hold 1" thick Gator Board in lieu of the traditional 3/4" plywood or 2" rigid foam. Gator Board is extremely rigid, impervious to moisture and does not expand, contract or warp. It can be cut with traditional power tools, a hand saw or a utility knife. It is not cheap by any means, but I lucked into some 4' x 8' sheets from a going-out-of-business sign maker. The sheets are incredibly light and very manageable to transport and maneuver. The 1" thick Gator Board lays on top of the risers, projecting another 3" above the bench work. Rail height will be just about 50" above the floor. 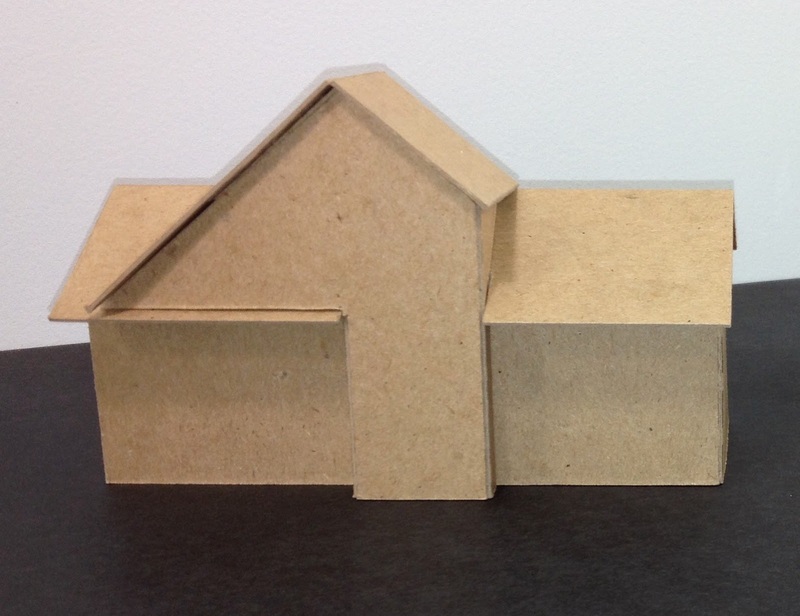 The 8" lengths of 1" x 2" spaced about every 16" are to accept removable fascia. Plastic 3/8" cable clamps were installed on the back of these supports to hold bus wires and make all electrical as easily accessed as possible. The Gator Board will be glued to the risers using Liquid Nails. Unlike rigid foam, the outer layer protects the board from melting. Land contours will be achieved by 'hacking and stacking.' Some rigid foam, as well as floral foam, will supplement the scenery efforts. Ted Pamperin reports great success with his use of 3/4" Gator Board, so I should be fine. One note. Like rigid foam this product does not hold nails or screws, so Ted simply glues 1/4" ply wherever a surface is needed with some holding power for switch machines and the like. That's it for today. A quick one. But tomorrow we have another installment of everybody's favorite, 'Friendly Fridays,' and an account of inspiration and intimidation all at once. Bye. "Ooooops!... The best laid plans go awry." Fortunately today's title does not refer to my layout construction this time, but rather to the construction of the Old Main Line itself... or more exactly, to the mills that would be serviced by the railroad. When Baltimore-area industrialists launched a plan to reach the middle of the country via their Baltimore & Ohio Railroad, savvy entrepreneurs staked out sites along the anticipated right-of-way. Or so they thought. The conventional thinking of the day was that the line would stay on the north side of the Patapsco River, nearer to Baltimore and therefore more likely cheaper to build. In anticipation of this, construction of several mills was begun before the track configuration was finalized. Big mistake!... Huge! 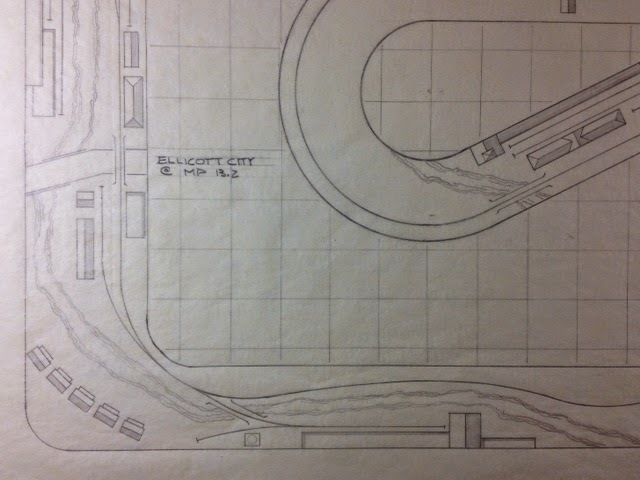 Once engineers determined that the track would be better built on the south side of the river, industries like the paper mill at Ilchester did not have direct access to the line. Both a conveyor and a team track were used here for the transfer of goods. 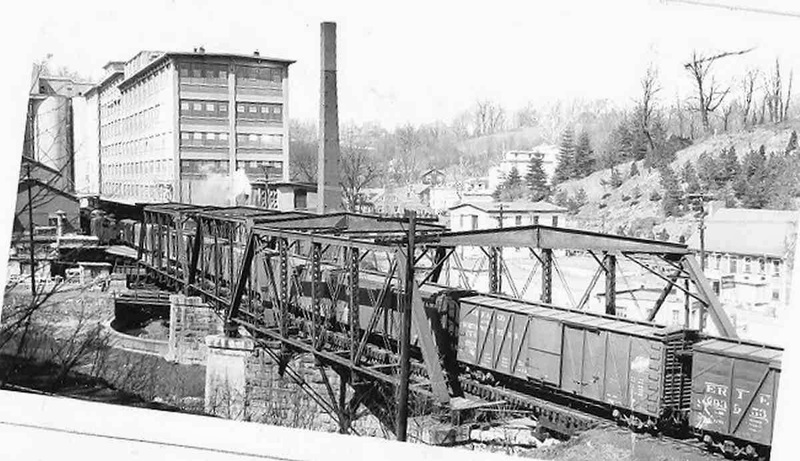 The flour mill at Ellicott City used a trestle to span the river accessing the plant with two spurs, but as motive power grew in size and weight, limits were put into place eventually negating their use. Freight was pushed and pulled across the bridge with the help of empty gondolas known as 'stretchers' to keep engines on the south side of the river. The textile mill at Oella had further complications due to a difference in elevation. A winch was employed to pull freight across the trestle and used to control its roll back down toward the mainline. The textile mill at Daniels WAS on the correct side of the river, however we know from the photo on the very first entry of this blog, the location proved less than ideal due to the river's proximity on three sides. These mills represented the largest customers on the Old Main Line, but accessibility and dependability were less than ideal initially, and only grew more troublesome with the advent of increased traffic and larger loads. Complicating things further, were the frequent mile-long coal trains that disrupted these unusual movements. While these make for great Layout Design Elements and fun operating in 1:87, it was not good business for the B&O. There would be changes coming. But for now, we get back to more bench work with risers and sub-roadbed. See you Thursday. Which TV character would have been best suited to explain to mill owners why the B&O chose to build across the river from them? "The former entry... Shamed and shunned!" Having completed the major part of the layout entry's re-location, I sagged in addressing the easier part. Much like an athlete, who after triumphing against a tough opponent suffers a letdown against the next, weaker one, I was off my game. Because the original entry accessed the very important wine closet, a 4' x 11' masonry fortress built under our front porch, I could not simply close off the doorway with sheetrock. In lamenting this to my family one day, my daughter showed that she could give as well as she got. Using one of my favorite jibes whenever she whined, she turned the tables and used a popular phrase from the world of bicycle racing. "C'mon dad. Time to dip into your suitcase of courage," she smirked. The former entry sits forlornly, admonishing any who might consider crossing the threshold. The problematic low ceiling is exacerbated by the stair landing making the foreheads of unsuspecting visitors easy prey. Linking the opposing bench work sections required determining the overall curve I was looking for at the end of this cul de sac. It also revealed that the linking bench work would need to account for about 3/8" difference in elevation from one side to the other. Annoying, but not the end of the world. No expense was spared as state of the art equipment was used to hold temporary hardboard curves to gauge the proper radius for the valence and fascia. The door to the left is the former entry that still accesses the door to the right... the very important wine closet that still holds no wine. A 12" x 42" bench work section was slipped into the gap and a curved piece of hardboard was compressed into place as both a 'finish' for the foyer to the wine-less closet, but also in consideration as a possible backdrop. The valence, and lighting behind it, was finalized. A tricky job, but not worth photos or commentary! I determined that the convex curve of the potential hardboard backdrop was too jarring for my taste. I preferred one that would 'flow' so I erected a framework of 1" x 2"s with end cap channels stapled top and bottom similar to that used for the peninsula. A 24" x 96" sheet of .040 styrene was slipped into place and anchored at each end in the same manner as all corners were earlier coved. It is important to consider that this material is fairly flimsy until it is curved which gives it much more rigidity. All that remained was the spackling, sanding, priming and painting. Done, finally! The project was complete and it was obvious that it was for the better. I now had an easier, cleaner entry that worked better with my track plan and staging, plus my new cul de sac was now wider and provided operators much greater maneuverability. An added bonus was that I now had an emergency exit and could provide improved air circulation when necessary. All in all, a major delay, but well worth it. Next up, we'll look at the single biggest miscalculation made by the entrepreneurs involved with the building of the real Old Main Line. In the mid 1970s, I was finishing my undergraduate studies and should have been wearing out the pages of my text books, but I was not. 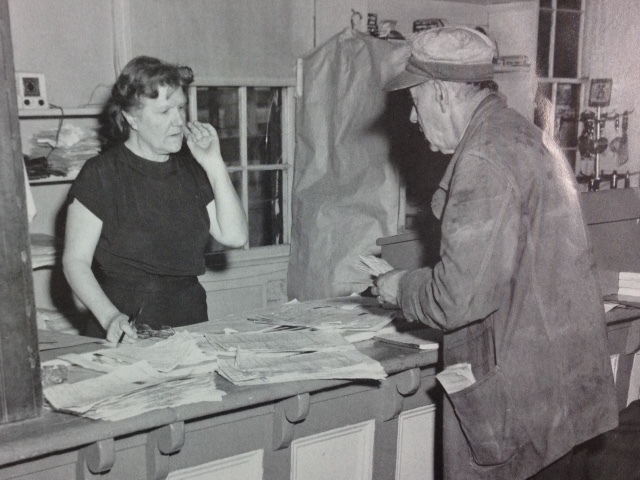 Rather, it was the pages of Railroad Model Craftsman that had the undeniable proof of my smudged finger prints. I was fully absorbed in the monthly pieces from Dave Frary and Bob Hayden, Tony Koester, John Olsen and the kitbasher extraordinaire, Art Curren. As a future architectural graduate student, I was drawn to Mr. Curren's ability to create unique structures from ordinary ones. When I read that he lived in a neighboring town from that of my university, I plotted a grand plan that rivaled any I had used in female courtship. Using the latest available technology, I got his address from a phone book and mailed him a letter of introduction! Then, gathering every ounce of nerve that any 21 year old could, I followed up with a land-line call to the Curren residence. 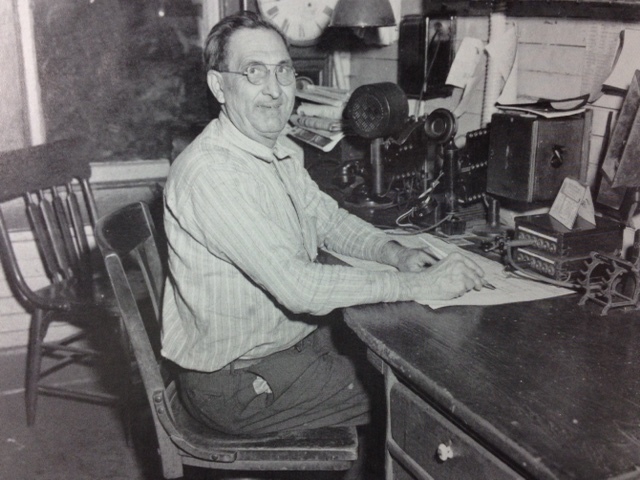 Mr. Curren worked at a major New York advertising agency and was a regular for RMC, before moving to the Milwaukee area and joining Model Railroader where his prolific works continued until his untimely passing. He was introduced to the model railroad world when he won this monthly award in January 1975 and became a regular RMC contributor almost immediately thereafter. Mr. Curren could not have been more gracious with this awkward caller and a week later I found myself ringing his doorbell at the appointed time. We sat at his dining room table while I showed him some of my kitbashed projects and hung on his every word except, "Please, Jim. Call me Art." "Yes sir, I will. Thank you, Mr. Curren." 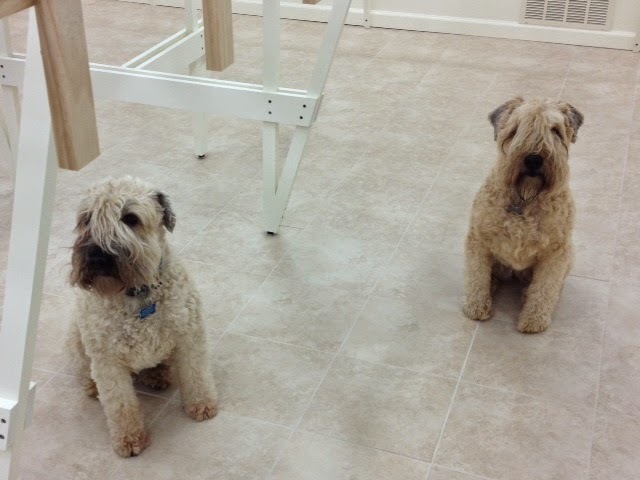 I must have passed muster because he suggested that we descend to the basement to see some of his work. I entered the inner sanctum and spread out before me on every horizontal surface were projects past, present and future. This was better than Christmas morning and would last into early evening. Axonometric sketches, creative executions like double-sided buildings and an easy-going manner made Mr. Curren's articles the favorites of many. 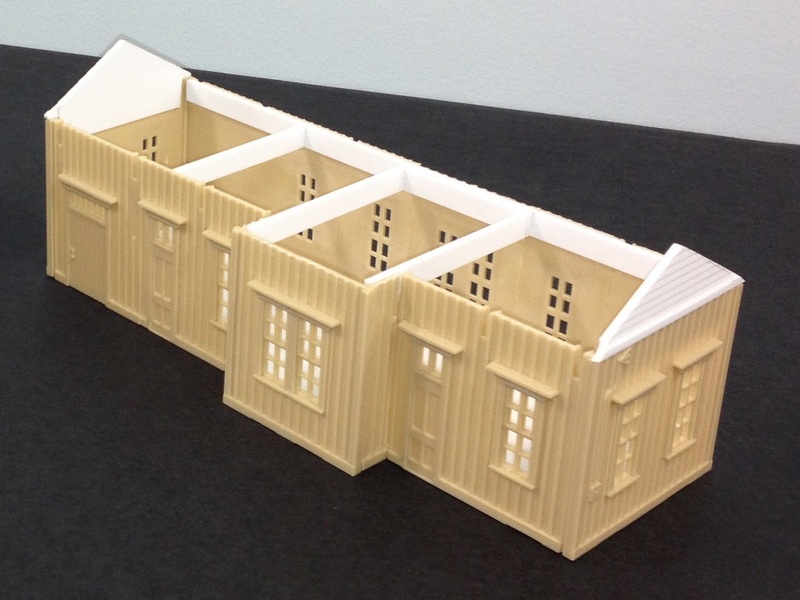 If it was a good idea to make one structure look like two, why not model one to look like none? Art left no stone unturned. There was no real room for a his Carolton & Chrisville Railroad, named after his wife and son, because models, dioramas and modules balanced everywhere. But I don't think he minded, and I know that I didn't! Art Curren brought fun, creativity and imaginative thinking to our hobby. Often he was ahead of his time, while many of his ideas have become standard practice. 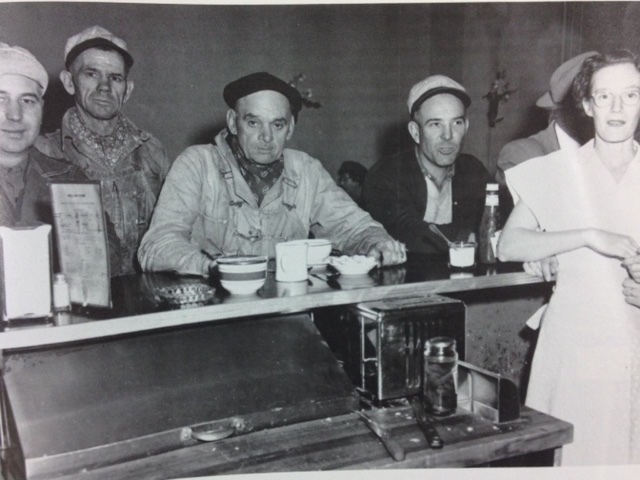 The author found some old photos of work he shared with Mr. Curren that day. He deems them "not horrible, but not up to current standards." They were eventually taken apart and thrown into a box labeled "Miscellaneous Kitbashing." Their company names like Forrecote Paint Company, Duzz & Werk Appliances and Awlphatt Meat Packers have been retired. I don't purport to have been a friend of Art Curren, but his one day of kindness made a lasting impression on me. Although I would soon relocate and focus on career, marriage and family, I read the monthly magazines religiously and always looked forward to his latest work. In some cases, it turned out that I had already seen it years before! So it was indeed a shock years ago when an announcement in Model Railroader noted his early passing. It brought me back to a single day that we shared. Is it one that I'll always treasure? Sunday, we get back to layout construction. Be well. Essay Question: In no less than 10,000 words please discuss the impact that Art Curren would have on today's hobby considering the advancements made in the past 15 years, including but not limited to, modular kits, scale windows, computer software, digital photography, laser cutting and 3D printing. "Setting the stage... Scoring some points, too." The ambience of a layout area is important to me. 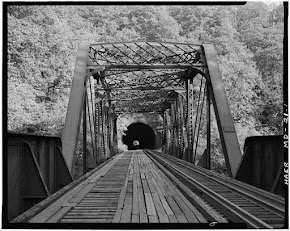 Beyond railroad memorabilia, things like campaign materials, calendars, advertising signage and movie posters can help set a mood while defining time and place. There has been no shortage of such articles in the railroad press so hopefully I've learned something. I'm trying to build my inventory smartly. Movie producer/director Barry Levinson has done four movies depicting his hometown of Baltimore during the post-war baby boom. 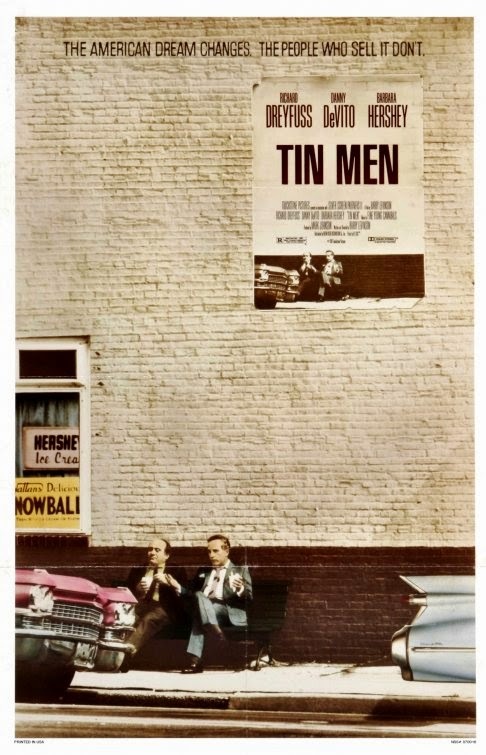 Two of them, Diner and Tin Men are all-time favorites and absolutely drip 'Bal-a-mer' nuance. I am keeping my eyes open for these two posters. I'm also interested in anything Baltimore Colts (remember them?) and National Bohemian Beer, simply known as Natty Bo. I welcome readers to offer any advice on other items too. five friends in Baltimore, 1959. Many of the photos you'll see on this blog have been framed and hung around the man cave, but a couple of new additions are really neat. My father-in-law is a retired New York City police officer, but unbeknownst to me, he worked for the New York Central Railroad right out of high school for a few years. The spike came from the demolition of the Third Avenue 'elevated' in New York City, circa 1972. 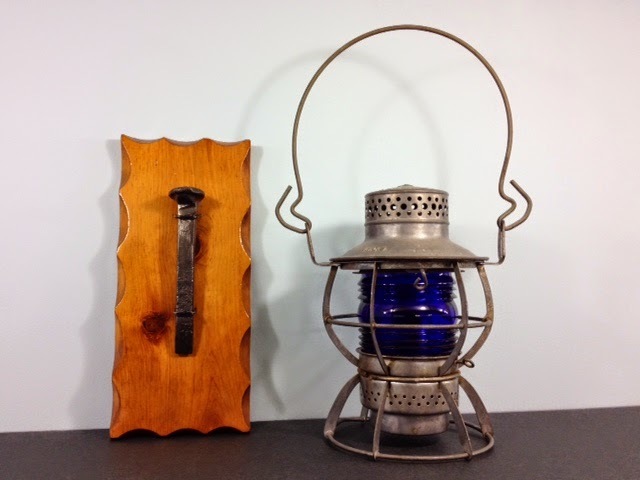 The lantern was used on the New York Central during train repairs in the yard. It signaled in no uncertain terms that the train was under service by repair personnel and could not be moved under any circumstances. The sign below is perfect for the former entry and was purchased from the B&O Historical Society. It is a recreation of actual management signage. Note the acceptable spelling of 'employes' for that time. That's not a typo. That's about it for now. Over the weekend we'll get back to more construction issues in closing off the former entry with bench work and backdrop. But first, we'll have a very special 'Friendly Fridays' feature. See you then. What best speaks to the universal ambience of modelers? A) Two empty pizza boxes, some uneaten crusts and half a beer. B) Piles of scrap foam that are ideal for something, someday. C) A workbench strewn with tools favored by dentists and jewelers. "Tears of joy over new peninsula backdrop..."
The end was near for the bullnose backdrop. Perhaps sensing that its days were numbered, it began to lean slightly which made the ultimate decision to dismantle it even easier. After some basic mock-ups with cardboard, I determined that I wanted a more traditional teardrop, or balloon backdrop, for the end of the peninsula. The real questions were about how I would fabricate it and what materials I would use. Since I had good fortune using the .040 styrene in my corners, I considered that, while also realizing that I then wouldn't be ripping more dusty hardboard, countersinking screws, spackling and sanding. The added cost was worth it. Sold! The trick now was designing a mounting system for this broad expanse that I would most likely be mounting myself. The vertical supports for the backdrop capitalize on the grid ceiling system using those clips screwed into T-nuts drilled into the end of 1" x 2"s.
The vertical supports are hung from the ceiling and attached at the bench work for added stability, giving the backdrop and bench work some independence from one another. Intuition based on Murphy's Law told me that this may be a good thing. (Reality confirmed this down the road). A skeleton frame was completed with 1" x 2" horizontal strips as well as flexible lath at the end of the teardrop. Lengths of plastic 'end caps' were stapled at the top and bottom of the frame 24-1/4" apart to hold the 24" styrene. At this point I already knew that this peninsula backdrop was going to be preferred to my earlier one. Thank goodness! I was happy to live with the loss of real estate. The end caps provided runners or channels for the 24" x 96" sheets to slide into and made the job relatively easy for a single installer. 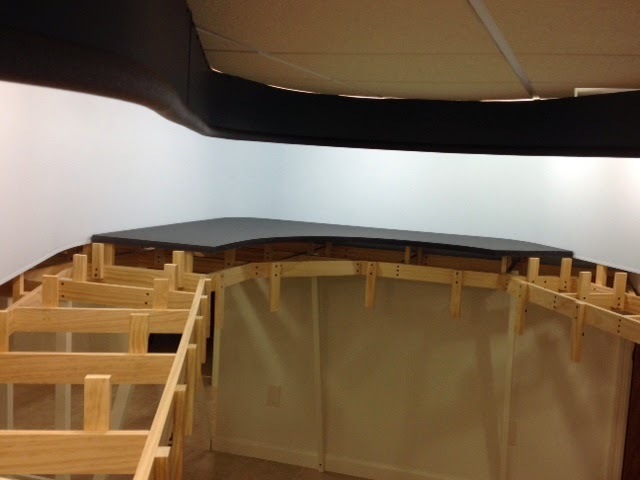 Looking from inside the backdrop, the sheets are mated to one another by a 2" wide gluing surface and the tops and bottoms are stabilized further with scrap styrene wedged into the end cap channels. The ends of the styrene expanse are mated to the sheetrock walls in the same manner as the corners were coved. While the ends are solidly anchored, the rest of the entire peninsula backdrop essentially is free floating. The seams in the styrene sheets were lightly spackled and sanded, primed and painted. They are impossible to detect. I am over the moon with this outcome. Happily, the single biggest improvement is that the layout now slowly reveals itself as the viewer walks around the peninsula. It expands both space and time. Veteran modelers surely already know this, but this is one of those mistakes that rookies sometimes need to make in order to really grow and improve. Duly noted. Lesson learned. Now it's time for my next rookie mistake. What will it be? "Not too bullish on the peninsula backdrop..."
"Not that there's anything wrong with that..."
"Friendly Fridays... WIP it. WIP it good!" "A little bit of each... Blood, sweat and tears." "Mr. Gorbachev... Tear down that wall!" "A deal I couldn't refuse... Jersey style." "Westward ho... The long and winding railroad." "Friendly Fridays... The C&O New River Division."